In a brilliant extract from Rio Ferdinand’s autobiography, Thierry Henry told him a brilliant story about Lionel Messi in Barcelona training. 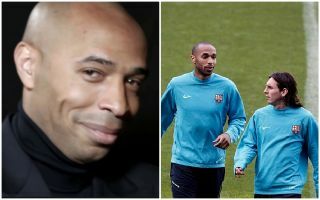 Henry was with Barcelona for three years between 2007 and 2010, scoring 49 goals in 121 games for the Catalan giants while winning two La Liga titles and the Champions League among many other trophies. Another memorable moment during his stint of playing alongside Messi came in training, as a brilliant story has been told about what the Argentine star did after a teammate was fouled during a training session and no free-kick was awarded. Moral of the story? Don’t make Messi mad, but this sounds so realistic given the quality that he possesses that few will have doubts over the accuracy of the tale. Messi has since gone on to establish himself as one of the greatest players to ever grace the game, with many more years hopefully left in him before he decides to hang up his boots.